The contrast was evident at Infosys, the information technology (IT) giant. 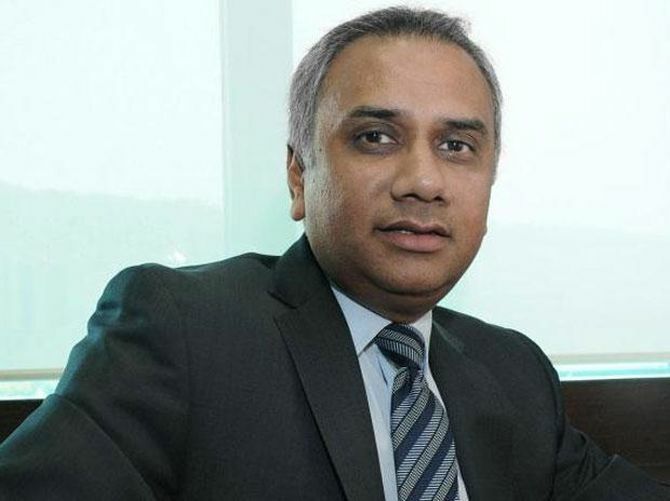 Salil Parekh, who has kept a low profile in his three- decade career, began his innings on a similar note at Infosys as its second non-founder chief executive officer (CEO). Human resource head Richard Lobo and Deepak Padaki, head of mergers & acquistion, welcomed him with a few others on the Infosys campus. He was joined later by chief financial officer M D Ranganath for a group photograph. The images were uploaded on the company’s Facebook page and Twitter handle. Parekh in a video address to employees expressed delight on leading the iconic company. Infosys itself was otherwise silent on the development on Tuesday. This was very unlike the marketing exercise it undertook in June 2014, when co-founder N R Narayana Murthy introduced Vishal Sikka at a crowded press conference as the next CEO. The entire board of directors, including chairman K V Kamath, were present to herald Sikka as a person who could transform Infosys. The new CEO had talked of the need for innovation to move forward. On formally taking over that August, he met media editors in a roundtable meet and gave interviews to global publications. Three years down, the Infosys experiment with Sikka failed. After a tumultuous year when he faced the wrath of Murthy over non-disclosure and a public spat, Sikka quit in August last year. So did R Seshasayee, then chairman. And, another co-founder, Nandan Nilekani, returned to the helm as chairman. Soon after taking over, Nilekani said he wanted Infosys to be a ‘boring company’, away from the public glare that put pressure on its executives. Last month, when Infosys named Parekh, former Capgemini executive, as its CEO, there was little information about him in the public domain. With this, Nilekani also indicated that Infosys was aiming to back to its roots, focusing on delivery than on big claims. It also underscored the mantra and culture of “under-promise, over-deliver,” which Murthy and Nilekani have a reputation for building over three decades. Sikka, who was based in California’s Silicon Valley, had devised his own software-plus services strategy and set an ambitious target of $20 billion annual revenue with margins of 30 per cent by 2020. Three years on, with the halfway mark achieved, he admitted defeat. This also brought a dent in Infosys’ reputation, which had consistently exceeded the expectations it set in its forecasts. Culture was a moot point that Nilekani also emphasised in his New Year message to employees. He said Parekh brings expertise and leadership skills that are complementary to “ours as an organisation”. “Keep learning, keep innovating, and do this all on the bedrock of our culture. "Our fundamental values, commitment to integrity and placing our employees first, will not change and, if anything, will get stronger in the New Year,” wrote Nilekani last Friday in his year-ahead message to staffers. Nilekani also pointed to transformation in the market, where software-plus services and algorithms ruled.